As some of you may know we've recently undertook a survey of our customers in order to better understand their needs and the market we're trying to serve in the best possible way. All participants would participate in a lucky draw for the chance to win a Kindle Wi-Fi e-Reader and out of those who filled out the entire questionnaire we selected in random our winner using a process which was entirely controlled by the 3rd party survey tool (read on). 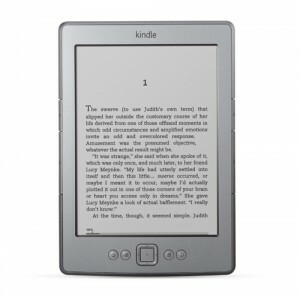 So without further delay - congratulations to Ricky Turner from www.nevadaseal.com - the Kindle should be on its way! Happy reading Ricky! The survey as well as the draw was conducted entirely using surveymonkey.com. Stay tuned as we'll be posting the survey highlights in following posts. And last but not least, a big thanks to all who took the time to participate - your feedback is invaluable to our growth and we will definitely be putting it to good use! PS. by the way, Ricky -and all of you- should download and read our on-line ERP guide e-book!